YOU ARE HERE:Home » Auto Insurance » Could Florida Ban Sunscreen? Hawaiian lawmakers recently passed a bill prohibiting the sale of sunscreen containing chemicals known to harm coral reefs. “Once signed by governor David Ige, it will be the first law of its kind,” says Ellsworth Buck, Vice President of GreatForida Insurance, Florida’s largest independent boat insurance agency. The chemicals contributing to the destruction of coral reefs and other ocean wildlife are oxybenzone and octinoxate. These are common ingredients found in over 3,500 popular sunscreens such as Coppertone, Hawaiian Tropic and Banana Boat. Oxybenzone and octinoxate are chemicals that filter and absorb UV light, blocking out the sun’s radiation and extending the amount of time a person can spend in the sun. However, like most topical products, they wash off in the water causing damage to coral and fish. According to coral reef advocates, Be Reef Safe, 4,000 to 6,000 tons of sunscreen end up on coral reefs every year. A 2015 study conducted by a group of scientists of coral reefs in Hawaii, the U.S. Virgin Islands and Israel found oxybenzone and octinoxate leach nutrients from coral, bleach it white and reduce its resiliency. The chemicals are known endocrine disrupters, even a tiny amount can damage coral. 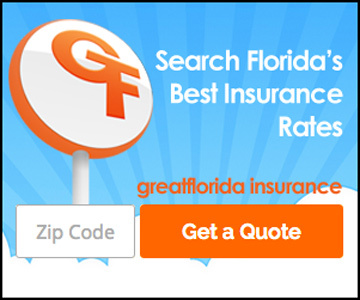 “The largest coral reef in the continental U.S. is the Florida Reef, found in the Keys,” reminds Ellsworth Buck, Vice President of GreatForida Insurance, Florida’s top independent boat insurance agency. It is the third largest barrier reef ecosystem in the world. It too is being threatened by using these chemicals. In order to protect the future of Florida’s reef tract a similar bill could be passed in Florida. As the public becomes aware of the threat these chemicals pose to coral reef and underwater wildlife, it could prompt action to preserve our beloved reef. Best thing to do now is read sunscreen labels and avoid oxybenzone and octinoxate. There other ingredients available in sunscreens that can effectively protect your skin. Most importantly, cover up. Sunscreen, should be the last line of defense. Are Americans breaking up with their cars?